I had not tried the 12-year-old elsewhere prior to opening that little bottle tonight, but I have tried a fair amount (as you can tell from the bottle level) of the 10-year-old expression from the same distillery. I won’t repeat myself too much, since I wrote about that one last year, but I did want to have it again tonight just for the joy of doing a side-by-side tasting. Anyway, my point is it’s hard to know how much of the flavor/aroma/color difference are attributable to age versus wood differences. I’d love a head-to-head tasting of, say, a 10-year-old and a 12-year-old both aged on the same wood, or a 10 versus 10 (or 12 versus 12), one with just sherry, one with sherry/bourbon. While those combinations don’t seem to be available (at the moment) from The Macallan, other distilleries have such offerings. I might even have a flight like that in my collection. Will it show up in this Whisky Wind-down? Not even I know at this point. Today’s thoughts: So, my spur-of-the-moment inspiration for this pairing tonight was looking back at last year’s entry for the same day. 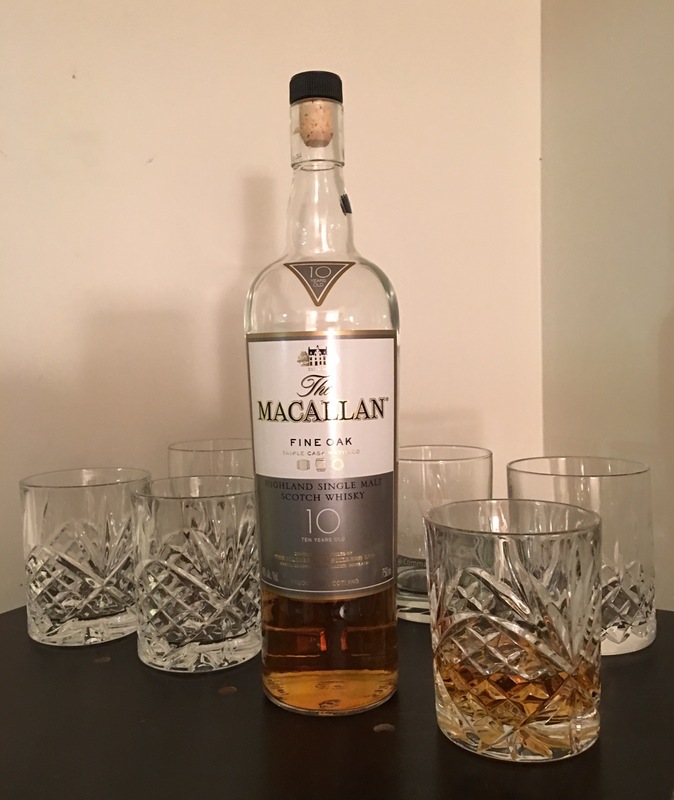 I thought it pretty appropriate to follow up that post with a related whisky and a related update. I still have a day job, though not the same one as last year. And while I’m still not inclined to deviate from my policy of declining to comment on anything work-related here, I’ll simply say I had a good decade at the old job, and I look forward to many good years at the current one. Great places, both of them, with great people. Today’s bit of perhaps useful information: It’s 5 o’clock somewhere. Time zones. Today’s toast: To the working stiffs, again and always.